It’s summertime in Europe, fields are exploding their best color ever and insects are at their greatest number. 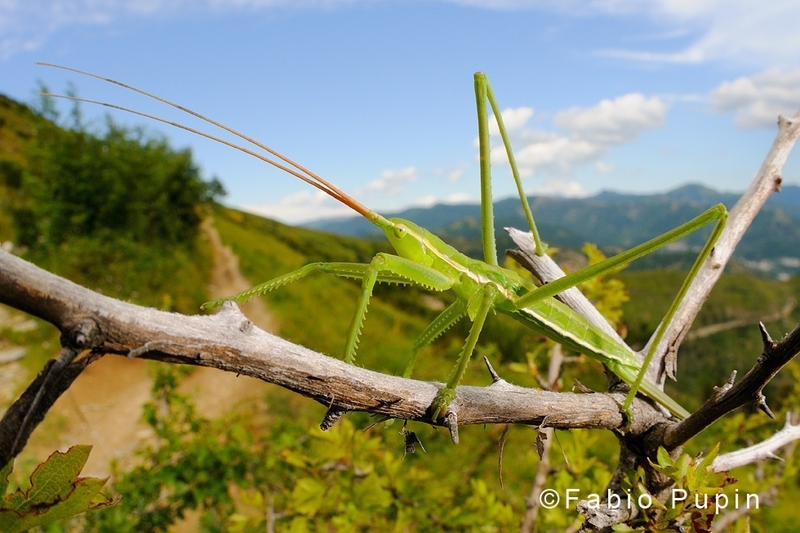 Everywhere crickets and grasshoppers defend their territories and eat tons of leaves… except one. 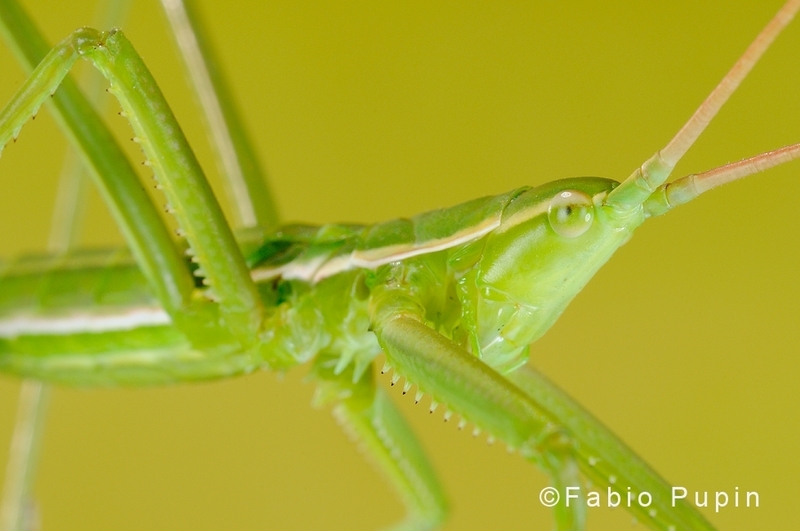 Camouflaged among the long-leaved herbs, there’s a creature very similar to a grasshopper, but much more lethal: the Predatory Bush Cricket (Saga pedo). 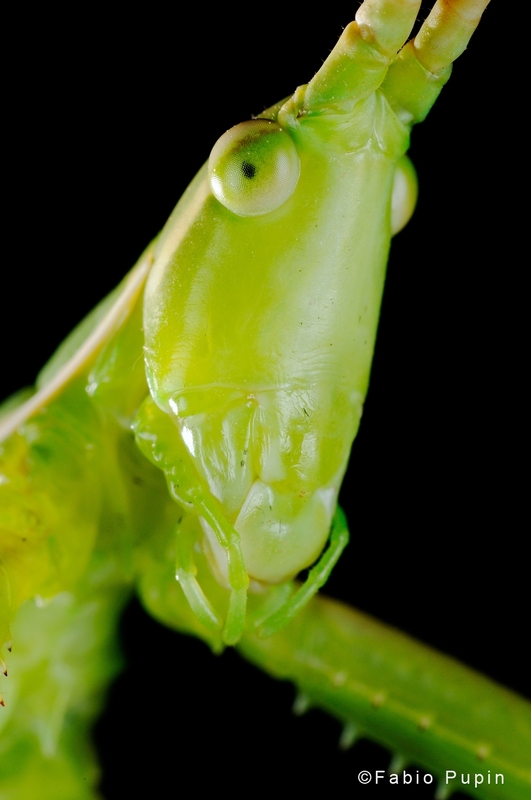 Equipped with strong mandibles and sharp spikes all along its legs, Saga pedo is a real danger for any grasshopper passing by. She’s waiting, she doesn’t move and keeps her front legs wide open in a friendly-looking embrace. 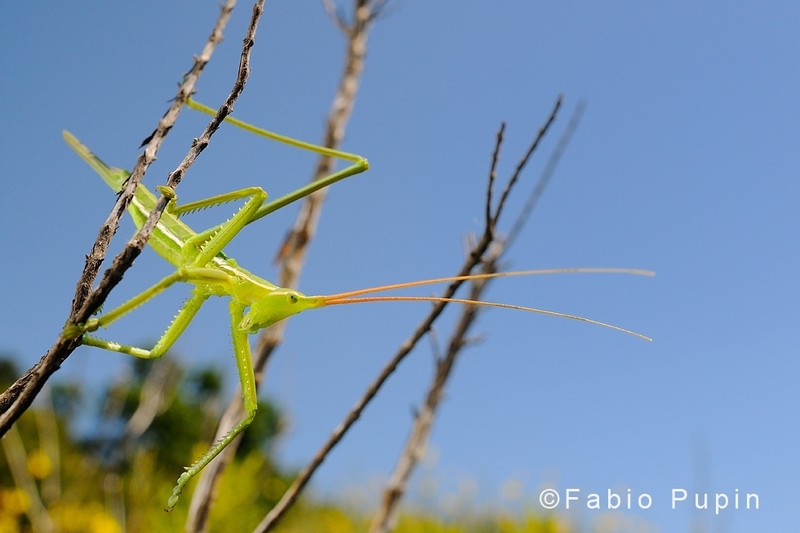 It will not pass so much time before a grasshopper will pass near, unaware of that odd spiny herb perching over. 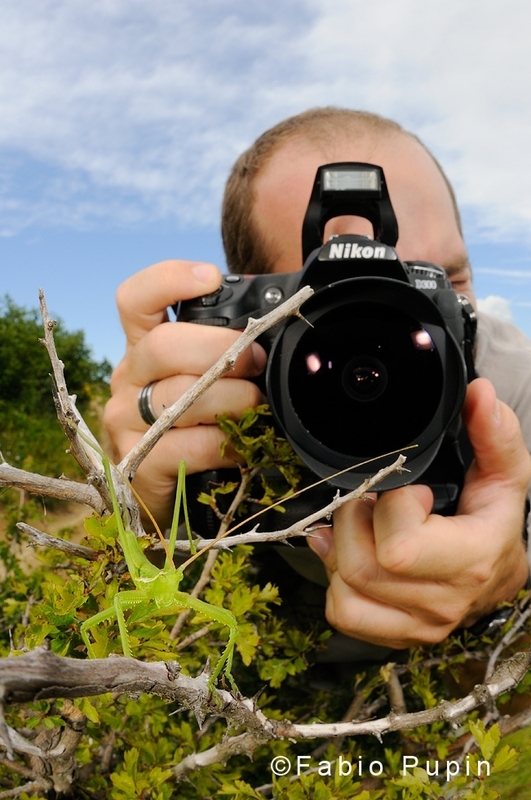 The hunt is short, the spiny legs set off and soon the grasshopper is embraced by death. Saga pedo then begins to eat the prey using its strong razor like mandibles. The peculiarity of Saga pedo doesn’t end up with her carnivorous diet. Even the breeding physiology of this species is special. Males are barely “known to exist” (a single specimen have been found in Switzerland in 2008). Each population is usually composed by females that breed by parthenogenesis. Basically, they produce eggs that will give birth to clones of the mother. Females deposit their eggs deep underground, using their sword-like ovipositor like a probe. In this way the eggs will resist to cold-weather and dryness. But that’s not all! 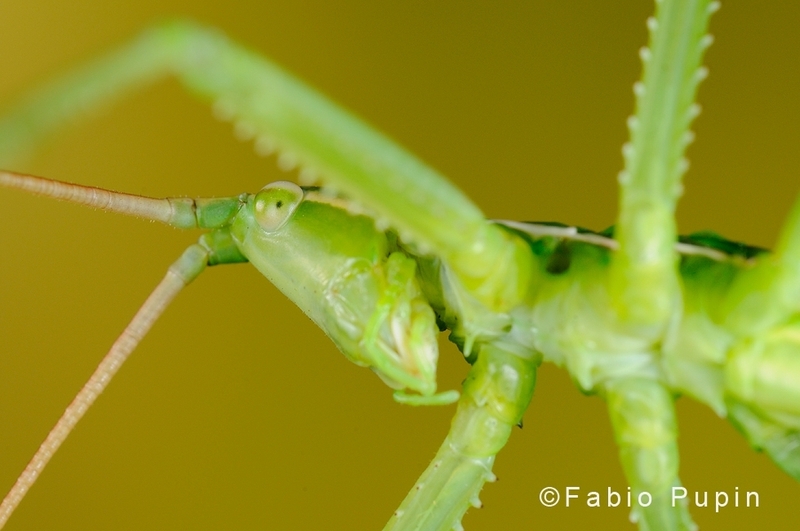 Since this species is strongly related to grasshopper abundance and humidity, the eggs do not hatch every year. They have to wait for the best times, when lots of preys are available. The eggs can resist up to four years underground until their time comes, usually announced by a particularly rainy season. Many thanks to Francesco Tomasinelli for helping us in making these pictures.